There's been lots of interest in the latest Goodies Giveaway: delicious gluten-free chocolate chip cookies and brownies from Tate's Bake Shop. You can enter through Sunday - just read Tuesday's post for details. The New Skippack Pizza (4038 Skippack Pike, 610-584-4998) has gluten-free pizza (thanks, Lisa M.), while Empire Pizza & Grill in West Chester (1316 West Chester Pike, 610-436-1234) serves pizza and pasta. In Wilmington, Harry's Seafood Grill (101 S. Market St., 302-777-1500) now offers a gluten-free menu. Meanwhile, on the Restaurants page, I've updated the gluten-free menus for Distrito, Amada, Chifa and Tinto, four of Jose Garces' Philadelphia eateries. Philly.com's Michael Klein reports that a new fast-casual concept with gluten-free options is coming to Center City in the spring. Honeygrow (1601 Sansom St.) will serve, among other items, stir-fry with rice noodles and housemade sauces. Firebirds Wood Fired Grill will open its third area location in March 2012 at the Providence Town Center in Collegeville. The spots in Chadds Ford and Newark have gluten-free menus. Through the end of 2011, Outback Steakhouse, Bonefish Grill, Carrabba's Italian Grill and Fleming's Prime Steakhouse are offering a $20 bonus card with the purchase of every $100 in gift cards. The bonus cards are valid for use from January 1 through February 10, 2012. Water to Go in Pennsauken (3501 Haddonfield Rd., 856-910-8881) will be sampling gluten-free wares tomorrow from 11 a.m. to 1 p.m. 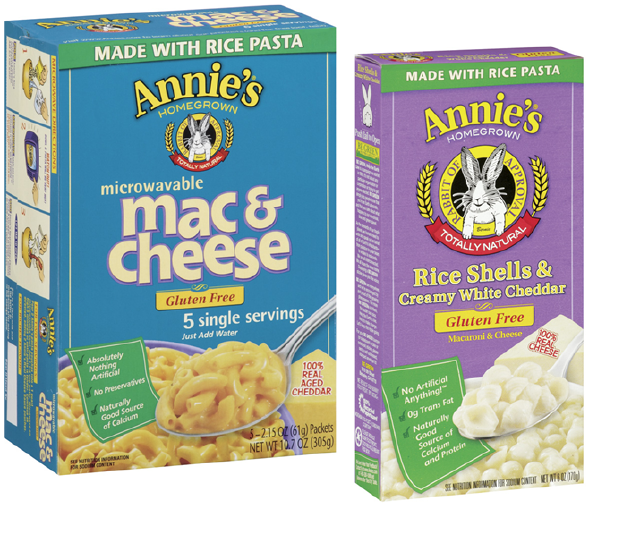 Among the items are products from the National Gluten Free Alliance, which distributes O'Doughs, GlutenOut, Agluten and Italian Gluten Free Foods. Reader Kristen T. let me know that Wegmans markets now carry gluten-free pizzelles, made by Bella Lucia Gluten Free Cookies. 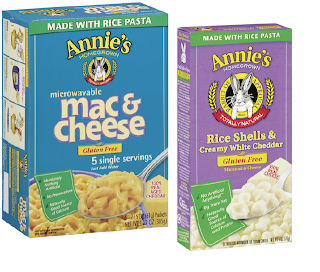 Annie's Homegrown is coming out with two new gluten-free mac & cheese varieties this winter - a white cheddar version and microwaveable yellow cheddar. The new Wegmans Wine, Liquor and Beer - just across the parking lot from the supermarket in Cherry Hill (2100 Route 70 W., 856-488-8948) - carries Greens, Bards and Redbridge beers and a variety of ciders from Woodchuck, Original Sin and Magners. A reminder that the Philadelphia Gluten-Free Supper Club will reconvene for dinner and a holiday cookie exchange at The Silverspoon in Wayne on Thursday, December 8. For more information, email reader Daria D.
On Sunday, December 11 from noon to 2 p.m., CHOP's Specialty Care Center in Voorhees (1012 Laurel Oak Rd.,) will host a kids' holiday gluten-free cookie exchange. RSVP by December 8 by email or call 215-590-2985 with your last name and number of children. Email your cookie recipe in advance so that it can be printed and shared with guests.